Combining a nautical theme with an industrial edge, the Caneel Bay has a look that is entirely its own. 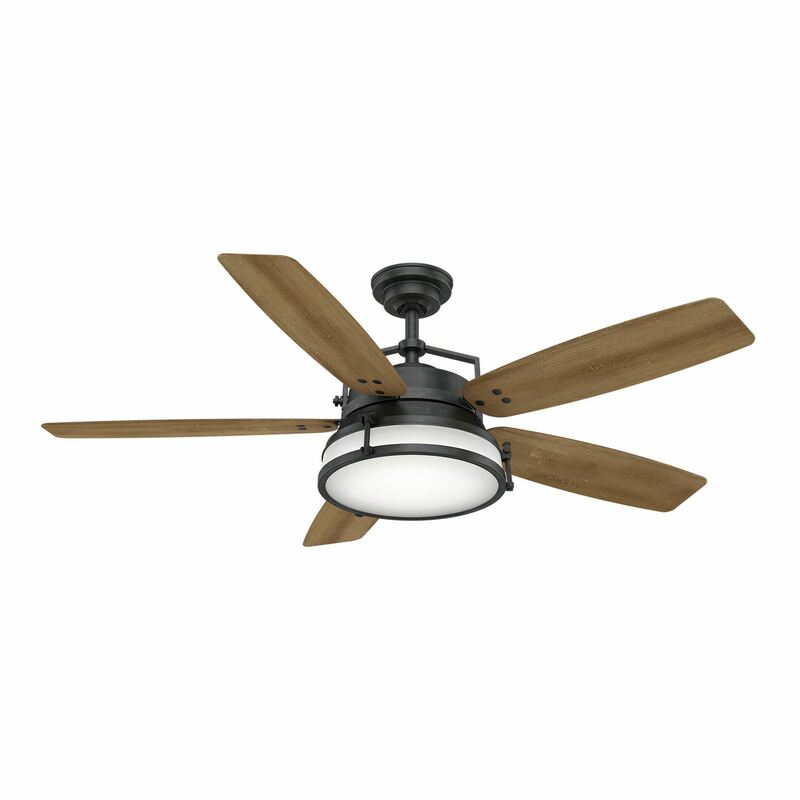 This rustic model takes cues from 1950s American Industrial, when exposed hardware was an integral part of the design, and integrates this approach throughout each element of the fan. The result is unique, peaceful, and secure.